“Members of the Wii Community — When migrating our forums from Call of Duty: Black Ops to the new site, the “Wii” section migrated with it, which should not have been the case. To date, we have only confirmed development for the Xbox 360, PS3 and PC. We apologize for any confusion that this may have caused. Please stay tuned here for any updates.” Thanks to Derrick for the tip! Ah! We’re not… we’re only talking about the other platforms at this time. But here’s what I can tell you: Treyarch has a long tradition of working on the Nintendo platforms. A long tradition. If that is not a strong hint at the possibility of a Wii U version of the game then I don’t know what is. 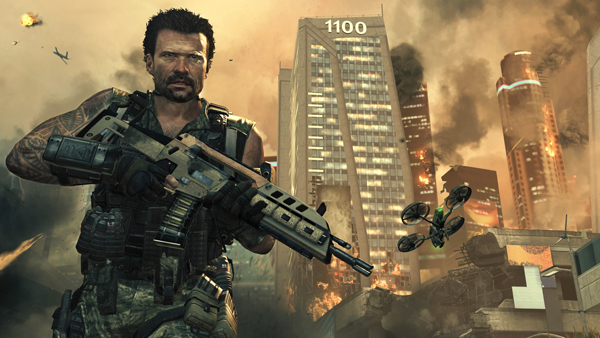 The game may also be coming to the Nintendo Wii as the Call of Duty: Black Ops II site has a forum page for the console although no official comment about the game coming to the Wii has been made. well they released all the COD’s on Wii, so i cant see why they wouldnt release it on the WiiU. Yea I sold my BLOP and MW3, but this looks interesting. I got some Perfect Dark nostalgia. The setting opens up for them to be creative. They can really expand the Zombie mode on top of that. If they utilize the Wii U controller well, it will be a must buy. Hell, I love the controls in BLOP on the wii. If they use the wiimote+ I’ll buy it. makes perfert sense, i mean when fps russia didi the video with the quadrotor he used an ipad to control it and on the Wii U you could use the controller. Members of the Wii Community — When migrating our forums from Call of Duty: Black Ops to the new site, the “Wii” section migrated with it, which should not have been the case. It seems it HAS made confusion on this website and they have apologized. That remote control tablet helicopter would be perfect for WiiU.